A love story set between the worlds of fashion and food service, FISH BONES is a star-making debut for three young women: the magnetic actresses Joony Kim and Cris Gris, and the imaginative, daring director Joanne Mony Park. Kim plays Hana, a Korean-born young woman most comfortable around her brother and working in her family restaurant, but who is attracted by the cosmopolitan world of modeling. Intertwined with the modeling life is Nico, an outgoing music producer played by filmmaker Cris Gris, whose affection for Hana draws her out of her comfort zone, and into the excitement and struggles of first love. 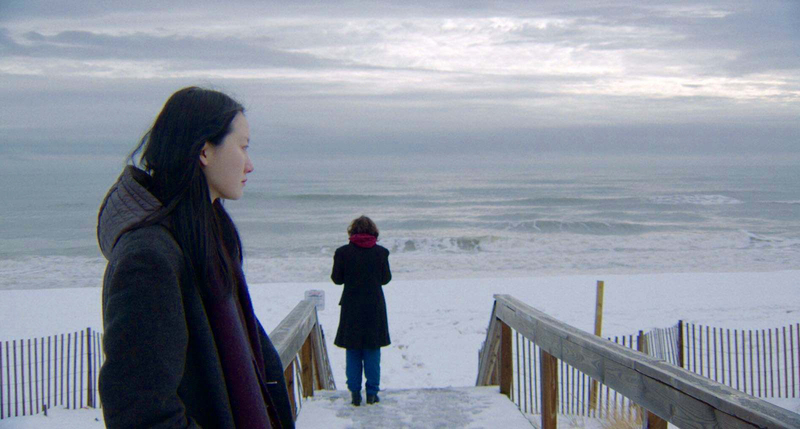 Hana and Nico’s relationship unfolds across small poignant moments, often played out as extended single-take shots, carefully composed and choreographed by Park and her cinematographer Sheldon Chau. These shots unfold like short stories, taking unexpected twists and turns and emphasizing gestures and glances that would be lost in a more conventional film. In one unforgettable take, we move through a fashion set as it changes from rehearsal to wardrobe to production, and watch Hana’s character reveal new facets – from shy to flirty to pro and back again – all in real time. At the same time we meet Nico for the first time, and watch her fascination with Hana grow, along with ours. Takes like these are not simply stylish and virtuosic. They demonstrate the sensitivity, generosity, and imagination that make FISH BONES such a remarkable debut.